Great ballet dancers make the art form look effortless with crisp leaps, endless turns, and precise pointe work for women. To perform these difficult steps at a high level with poise and grace requires years of training and a complete devotion to the craft. Few endeavors demand this commitment at such a young age. What training is necessary to make it into a top ballet company? I talked to Rachelle Di Stasio and her mother Diane about the rigor and level of training necessary. The 18-year old was appointed to an Apprentice position at ABT in May 2015 after a one-year stint in ABT’s Jacqueline Kennedy Onassis School (JKO) followed by a year in ABT’s Studio Company. Her top-notch training and commitment is typical of dancers at major companies and gives some insight on what it takes. However, hard work and talent are no guarantee of entry into a major company as the number of slots available are very limited. ABT typically appoints six dancers a year as Apprentices, mostly from its Studio Company. One source tells me that over the recent years, the number of Apprentices New York City Ballet has appointed from its School of American Ballet (SAB) has ranged from 1-11 per year. The Royal Ballet accepts about 4-9 dancers annually either as Apprentices or members of the Corps, many from The Royal Ballet School. Rachelle was accepted into the Kirkland Academy-founded by the legendary ballerina in 2010-and spent two years there from 2011-2013. While at the Kirkland Academy at age 14-1/2, Rachelle switched from a regular school to on-line academics for high school. At ballet schools such as Kirkland and Ellison Ballet, students generally complete their academic education through various national online schools, some of which are connected to universities such as Stanford University and George Washington University. “There really wasn’t anything I missed from not going back to a regular school. I found such great fulfillment in my training and study of ballet in a full-day setting along with having the flexibility of working on my academics on-line. I never had the desire to go back to a regular school setting nor did it miss it,” Rachelle said. Dancers with major aspirations don’t spend their summers at the beach, but rather in summer ballet intensives, which give them the opportunity to diversify their training with other teachers. In addition to a summer with SAB before starting at the Kirkland Academy, Rachelle spent three summer intensives with Edward Ellison’s Ellison Ballet – Professional Training Program in New York City. “Edward is an impeccable teacher with a strong technique that helps a dancer achieve a very high level,” said Rachelle. “I learned so much from him, particularly in the pas de deux intensives. Rachelle, then 16 years of age, made the big step of trying out for the Jacqueline Kennedy Onassis (JKO) School at ABT. 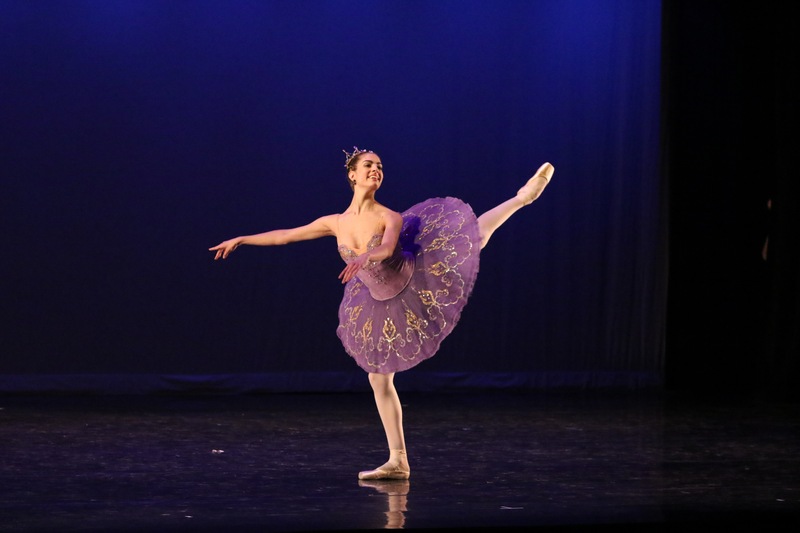 The JKO School is a pre-professional ballet training program for students, ages 12-18. Curriculum of the JKO School is the ABT National Training Curriculum, which combines elements from the classic French, Italian, and Russian schools of training according to the website. The highest level-Level 7 program-has seven male and female students aged 16-18. With a limited number of dancers, the auditioning process is intense. At Rachelle’s audition for the full-time academic year program, there were about 100 students trying out in a large studio with four ABT Ballet Masters evaluating them. After class, the teachers called the names of 10 men and 10 women for a second audition. Rachelle says that the second audition was difficult, with more movement based, intricate combinations. She made the cut with three men and three women moving on. At the end of the process, Rachelle was offered a full scholarship for both the summer and full-year programs. The program is diverse with classes at JKO including classical ballet technique, pointe, variations, partnering, men’s class, character, modern, Dance History, and Pilates in addition to the JKO Wellness Lecture Series on various subjects facing aspiring professional dancers. The faculty is led by Franco De Vita. “Franco is a wonderful teacher and very knowledgeable. He helped me so much by giving me many insightful corrections in class. He has a great sense of humor and is a great bundle of energy.” Other teachers include Katie Lyons, Clinton Luckett, Raymond Lukens, Lupe Serrano, Martine Van Hamel, Richard Bowman, and Francois Perron. ABT Artistic Director Kevin McKenzie attended some classes, particularly in decision periods on who would move up, a great source of stress for the aspiring dancers. After all, he is the ultimate decision maker on the fate of the dancers. The students have two sit down progress/evaluation meetings a year with JKO Principal Franco Da Vita. At the end of the year, Da Vita handed Rachelle a sheet of paper with a number of comments and evaluations given by the faculty members. The end of the report had outcomes: 1) Continue at Level 7; 2) Studio Company; 3) Not Returning. “Studio Company” was circled. “I screamed in excitement, so thankful to make it into the Studio Company. That year, two female students from JKO – Level 7 advanced into the Studio Company. The other slots were filled by dancers that performed well in competitions and outside applicants from all over the world. The year Rachelle was a member of the studio company, dancers worked with Alexi Ratmansky, Pontus Lidberg, and Susan Jaffe on new works, as well as ABT repertoire and other masterworks by Marius Petipa, Anthony Tudor, and George Balanchine. The Studio Company members performed in Augusta, Georgia, Rutgers University, University of North Carolina School of the Arts, New York City at the 92nd Street Y, the Alvin Ailey Citi Group Theatre (in the annual Royal Ballet School Exchange), and in Tuxedo Park. In addition, Rachelle performed with ABT in The Nutcracker in Snow and Flowers as well as in the ABT Fall and Spring Galas, in corps parts, at Lincoln Center. ABT’s Apprentice program begins with a 10-week training period leading up to December 1 when the dancers begin ABT company rehearsals for The Nutcracker. During this 10-week training period, the Apprentices participate in classes with the main company and Studio Company, and receive specialized sessions consisting of lectures, seminars, and training designed for preparation for working in the company. The Apprentices also participate in rehearsals and performances with the Studio Company. One of these upcoming performances will be for the Kaatsbaan 25th Anniversary Gala on Sunday, November 14. Rachelle says that she is particularly excited to dance in a new work by the talented, up-and coming choreographer George Williamson, who is the Artistic Associate of English National Ballet. Rachelle’s first performances with ABT as an Apprentice will be in The Nutcracker at Segerstrom Center for the Arts, in Costa Mesa, CA., December 10-20. Rachelle has lofty aspirations. 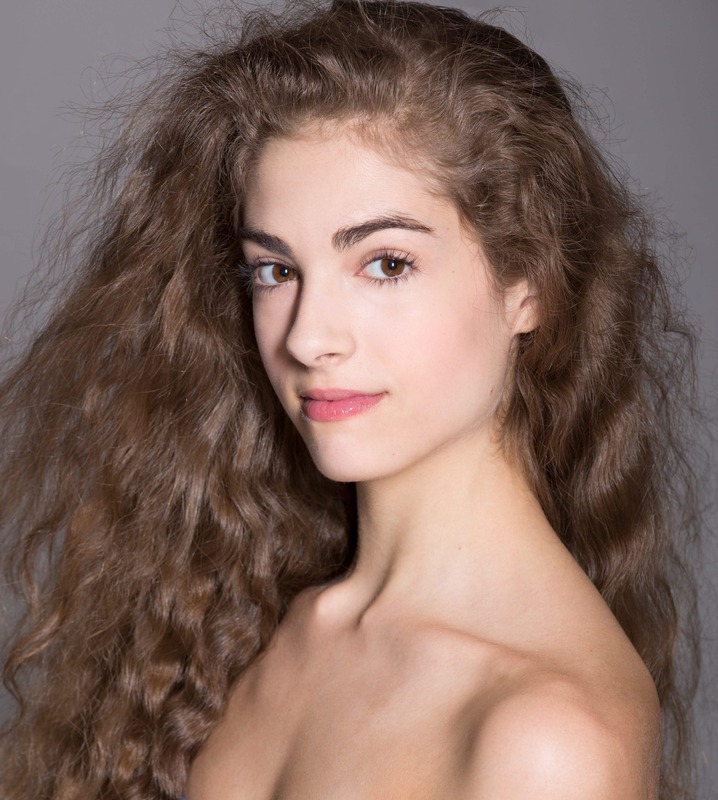 “My greatest aspirations are to become a Principal Dancer with ABT as well as have the opportunity to become a guest artist with other major companies during the course of my career. Other career goals are to carry over my dance into other avenues of the arts such as film and ​television. It is also my dream one day to build a foundation that would help fund and sponsor young dancers 12-18 years​ who would not be able to afford the costs that are needed for training during these important years.” New York audiences will have the opportunity to view the start of her journey next May in the Met season.